In a letter sent to Sempra, Cal Fire and the California Public Utilities Commission, Clark further alleges that Sempra Energy and SDG&E “risked the lives of the people who live in San Diego County in their effort to obtain a rate increase from the CPUC” without fixing the design flaw. He also contends that Sempra cut deals to prevent expert witnesses from testifying in a recently settled lawsuit. Further, Clark claims that counsel for Sempra and SDG&E visited Jennifer Betts, a Witch Creek Fire victim, without an attorney present to attempt to pressure her to settle her lawsuit. Clark served as an expert witness in her case, which was settled. In February 2009, ECM published a report and exclusive interview with Clark. He took our editor to the site where he believed the Paradise Fire started and showed us two down guy wires without insulators connected by a single bolt, which he contended was dangerous and illegal. Clark initially made the discovery while working for a law firm representing Allstate Insurance. He said he asked his employer to meet with SDG&E about his findings and ask that they fix the installation to protect public safety. Clark said he had previously worked as an expert for SDG&E on cases, until he raised questions about the charred hardware he believed caused major fires. Clark also contends that SDG&E later “removed and destroyed” covers for the guy guards where evidence of arcing occurred. David Mossman, controlling partner at Global Power Systems in Santa Barbara, has designed substations and been involved in transmission line installations and electrical distribution for utility companies in Canada. He, too, confirmed that the installations in question could cause arcing and ignite fires. 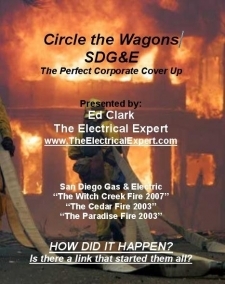 Clark’s letter to SDG&E lists numerous others he claims could corroborate his statements, including fire captains and investigators whose testimony he contends Sempra/SDGE’s legal counsel quashed. 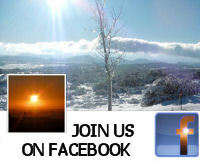 Neither Cal Fire nor the CPUC took any action based on Clark’s accusations. Clark previously published a book titled Circle the Wagons and says he has updated the screenplay version of the story to include details from the Jennifer Betts case. In his letter to SDG&E on July 16, 2015, he asked SDG&E to confirm whether or not the design error with two down guys attached with a common bolt has been corrected throughout the SDG&E territory or not. Thanks for clarifying that you had no attorney, Jennifer. It is interesting that no attorney was willing to take on SDG&E and its legion of lawyers, a complaint I have previously heard from other firestorm victims. There is a misquote in this article. There was never any threat to me without my "attorney present." I settled my own case in pro per without an attorney. I tried in vain to find an honest, brave, un-corrupt litigator to represent me to take this case to trial. No attorney I interviewed had the balls to go up against SDGE in the largest case in CA history, against one of the largest law firms in the world. Threats to me? They would require a book to describe as would the reasons I settled. I am an attorney myself, although never a litigator. It is my opinion the main Plaintiffs attorneys (including attorneys for City and CalFire), the Mediators at JAMS, and Judge Richard Strauss bent over backwards to make sure this case never went to trial (although there is one Plaintiff left). With regard to Witch fire, Ed Clark has simply told the truth. CalFire got it wrong on purpose, in my opinion. Nothing new. Search the Moonlight Fire and their WiFiter account. Shocking! Thanks Miriam. The rate case should begin soon. "Let's roll."